Q & A with Chinese Producer Min Dai! International Film Review recently had the opportunity to interview Chinese producer Min Dai, the producer behind the films Icebox, Device, 4 Latas, Come Wander With Me, Eat a Hot Dumpling Slowly, You Only Live Once and many others. 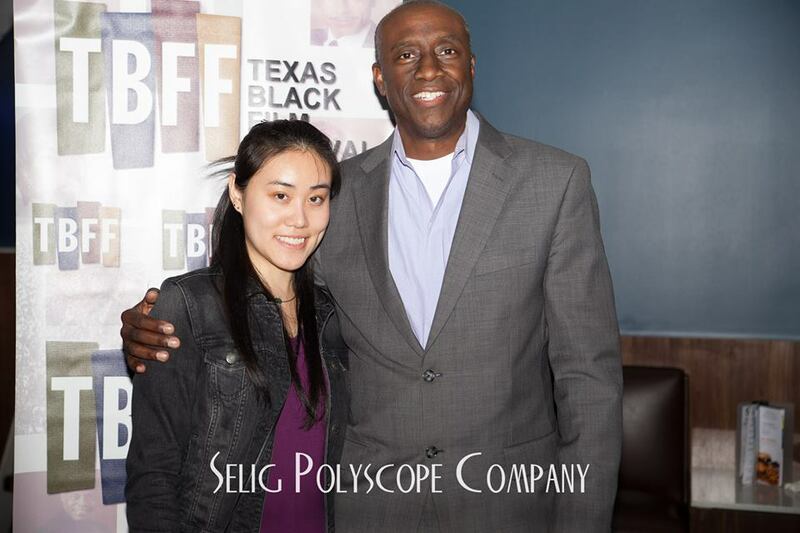 Last year Dai’s film Meeting Gary, which she both produced and directed, was nominated for Best Short Film and a Best Actor Award at the 2014 Texas Black Film Festival where it was chosen as an Official Selection. The film was also chosen as an Official Selection at the Action On Film International Film Festival, the San Francisco Black Film, the Arizona International Film Festival, the Langston Hughes African American Film Festival and several others. Dai has also established herself as a leading producer in the documentary film genre bringing films like You and Me, A Trip to Tibet, Ning Xia and Momo Lee Aoi’s Wake up with Me to the screen for international audiences to enjoy. After working as a producer on several popular television shows like Mission for Peace, The Story of Gengtian Xi, King of Silk and others back home in China, producer Min Dai transitioned into the American film industry where her ability to liaise between U.S. and Chinese productions has become an invaluable asset to a long list of productions. To find out more about the work of producer Min Dai, and why the growing collaborative relationship between the American and Chinese film industries is imperative to the future of film, check out our interview below. IFR: Where are you from? When and how did you begin working as a producer? MD: I am from Beijing. I began working as a producer back in 2006. I started producing Chinese short films, commercials and television series; and in 2010, I studied directing in New York City and have extended my work as a producer to include American productions since then. IFR: Can you tell me about some of your experiences in the industry as a producer? MD: I am from a media centered family in Beijing. Growing up I had opportunities to learn from many field professionals in China, so by the time I was in high school I was already busy working on film projects. I have always been interested in the entertainment world. My mother’s production company, Beijing’s Voice of Time, has worked closely with the China Central Television (CCTV) for many years since the late 90s. In 2006, I began producing short films directed by Chinese independent filmmakers, including my own short film, Reborn. In 2008 I was hired as the line producer for television shows, including the large-scale television series, Mission for Peace and King of Silk in 2009, which were produced by China International Television Corporation, and starred notable Chinese actors Ma Yili, Zhang Guangbei and so on. My work was very crucial for the daily operations of each program, premiered on CCTV Channel 8’s Primetime Show. At that time I was often mistaken for being a much older producer while working on King of Silk production, until one day a young actor chatted with me and found out I was six months younger than her. Because of the trust Ma Runsheng, the Chairman of China International Television Corporation, had in me, I couldn’t afford to fail him or anyone else, so I worked extra hard each day during the shooting period. And, I have grown so much since then thanks to that experience, and countless others like it. In 2010, I came to America to study film directing. I began to connect with many interesting people in the U.S. entertainment industry and I was fortunate to work with producer Jackie Subeck, the president of a production company located in Los Angeles called Footprint Worldwide. I began working on projects involving 30 seconds to Mars and Linkin Park during their tours in China where I was the co-producer for both of their projects handling the productions in China. In 2012, I worked with Carl Gilliard, the co-founder of the Duke Media Foundation, the partner of Bill Duke who is famous for his roles in Predator, Commando and Action Jack, on my film Meeting Gary. The film was an Official Selection at several international film festivals and was nominated for awards at the Texas Black Film Festival and San Francisco Black Film Festival. I also produced the film. I also produced the film One True Yarn. PLM: With China making huge advances in their film industry, what is that makes you want to work in the U.S.? What differences do you see between the film industries in the two countries? MD: China film industry has been booming lately, and it is very exciting. What’s more exciting is that between Hollywood and China there are countless collaborations going on where people that are familiar with both cultures like me can be of great service. China has a great history of producing good quality indie movies, and now we are on our way to producing big budget movies that are not only for Chinese audiences, but also for the world. We cannot achieve that without having a strong partnership with America, which continues to produce many of the greatest big budget movies in film history. From my experience I’ve learned that there are different processes in filmmaking between these two countries. It is much more flexible in terms of running a set in China than it is in America, where in China more spontaneous surprises can be captured and in America the sets are more professional and regulated. There are pros and cons in both styles and I think to incorporate the differences and learning from each other will enhance our film industries so both can make better movies for the world. IFR: You’ve also produced several documentaries– can you tell me about them? MD: In 2009 I produced my first travel documentary, A Trip to Tibet, directed by independent director King Zhang in China. We followed a group of city teachers from Beijing who volunteered at an elementary school for three weeks in Tibet. The school conditions were extremely poor and there was only one local teacher in the whole village. The shooting was very difficult considering many members of the crew experienced altitude sickness. We were able to finish all of the shooting on schedule within the time frame that we were there; and the film was screened at the Beijing International Film Festival in 2014, and the 2014 Shanghai International Film Festival. In 2010 I had the opportunity to produce and direct the documentary film You and Me, which concerned the living conditions of elderly people in the Washington County Home, and documented their daily lives. The film revealed the dark side of elderly caretaking in the region, showing that many of them were abandoned and forgotten, but County Home took them in even though many of them couldn’t afford to live there. Our crew went to the home for interviews and for most of the shooting, and we spent a lot of time with the residents there, including eating and chatting with them. The film was used as the election material at the Washington County for fundraising in 2010. IFR: What is it about producing documentary films that you are passionate about? MD: I love documentaries because they challenge you to face reality and reveal some of the dark corners of human history. At times I find documentaries create a much stronger impact, sometimes more intense than a thriller. I think filmmakers that are interested in documentary films feel a social responsibility and want things to change for the better. I want to make things for the better and that’s why I am passionate about documentary films. IFR: Can you tell me about some of the music videos you’ve produced? MD: I had a couple experiences producing music videos. I found it a bit relaxing producing music videos since they are fairly short and easy to shoot based on the scale of the productions I worked on so far. But they are a great fun to work on because of the people involved. I also produced my own music film Transparent Thing, and the music video for “Chasing Happiness” by Chinese singer Kelly Cha. IFR: They are all very different, what made you choose to participate in these projects? MD: I actually like the fact that I am able to work on so many different projects. That’s the fun part of producing, you can use what you know and your ability to make so many projects happen and help so many people. It works that way in documentaries as well as in music videos. IFR: Why are you passionate about working as a producer? MD: I think my passion for making things happen is a great motive of being a producer. I don’t want to let people down. I have participated in most of these projects because they are honest and present an important matter that I care about. I think it is a very precious thing to produce something honest in this industry. IFR: What production companies have you worked with in the past? MD: In 2008 I began working with China International Television Corporation as a producer and line producer w on several of their television series. The corporation produces television shows in China nationwide. The projects I worked on ranged from 10 episodes to over 49 episodes. As an executive producer, I have also worked with King’s Film and WIN China group for their short films and commercials. In 2010, I produced multiple projects for Footprint Worldwide and became close friends with the founder of the company, Jackie Subeck. The company works closely with Chinese productions and China related projects. I produced numerous films since 2010 in the U.S. including many award winners. In 2012, I worked with Hollywood actor Carl Gilliard on the film Meeting Gary. I have and will be working with him closely in the future. IFR: What production companies or agencies are you currently working with? MD: I am going to work with Gilliard Media Group founded by actor/ producer Carl Gilliard. Carl has a successful career as an actor with over 70 film credits including Inception, Coach Carter, Red Eye and hit television show 24. Next year I will be working with Duke Media Foundation, Time Pieces founded by independent filmmaker Alice Millar, Mano a Mano Productions founded by independent filmmakers Victor Martin and Fabian Martin, as well as others. IFR: You get approached all the time to work on projects with people, what makes you pick one project over another? MD: I’ve picked most of these projects because the project itself intrigued me, or because I thought I was capable of helping these specific projects. I have a strong feeling when someone really needs me, for example, in 2013 I helped produce a project for LA tourism that was geared towards the Chinese consumer to help boost Los Angeles tourism in the future. The project was in need of a Chinese-speaking producer who knew the market in China to guide them through, and that was where I found myself being the most helpful to the project. When the need is great and you can help, the motivation is strong. IFR: What have been a few of your favorite projects so far and why? MD: It’s a very hard question because I have many favorite projects. I think I am a fan of working on film projects, because it is intense and you must make sure you are making the best decisions for the cast and crew at all times. IFR: What would you say your strongest qualities as a producer are? MD: I’m very hardworking. I think that’s the fundamental quality of doing anything successful. I think producers must have the instinct to discover valuable materials and finding appropriate resources. So far I’m doing good on those aspects. IFR: What projects do you have coming up? MD: I have projects lined up including the documentary film Wake Up With Me, produced by InterMix Productions, the web series Tina, produced by Wilson Becton and other projects including feature films and TV movies with Gilliard Media Group and Duke Media Foundation. I also have an exciting documentary film coming up about dogs and human relations in China. IFR: What are your plans for the future? MD: I have found myself happily working as a producer and creating stories and I want to keep doing what I love for many years to come. IFR: What do you hope to achieve in your career? MD: I started working in this industry at a young age and I’ve found myself growing stronger and wiser as time goes on. But most importantly I learned a lot about life and how to be a better person. My work has become my lifestyle. More than the wealth and the fame my career can bring, what I hope to do is create better and more unique projects that most people will remember and love for many years to come. IFR: What kind of training have you done, and how has it helped you in your field of work? MD: I have a bachelor’s degree in Television & Broadcasting and a Master of Fine Arts degree in Film Directing. I have had extensive training in all aspects of production of television and film from pre-production to post-production. I also think the experience of running productions in both China and the U.S. has expanded my ability in working in different culture conditions.